Orbit GeoSpatial Technologies announces that is has delivered the technological solution for a county wide Mobile Mapping portal. The Orbit Mobile Mapping Publisher will host 24 million 360 degree images as well as pointclouds covering the whole territory. 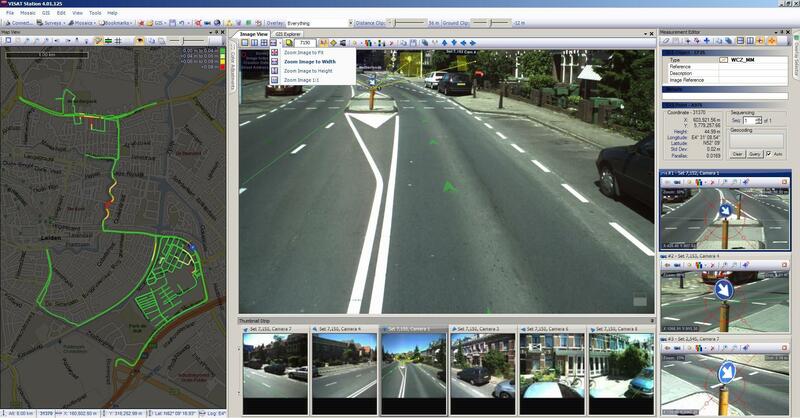 The Flemish Government, Belgium, has elected “Image-V” for the capture, processing and online delivery of Mobile Mapping data for over 65 000 km of road. This project will be executed over a 2-year period. The online delivery is powered by Orbit GT’s Mobile Mapping Publisher, hosting a few hundreds of terabytes to an audience of thousands of concurrent users. All government agencies, all local governments and all government related agencies (official GSDI members) will have access to this portal, which may be extended to other groups of users. The portal will be capable of making measurements which are established in one click using the pointcloud, export as GIS features, as well as overlay own data, and integrate in agency’s workflows. A country coverage will be presented per year as well as ‘most recent’ providing ample access to both recent as historical data.